The GDP Per Capita (PPP) benchmark to be counted as developed is in the $20–25,000 range and that is the bare minimum also the country’s HDI has to be higher than 0.800 with a diversified industrial composition. The oil rich countries rely on one industry too much but provided they do attempt to diversify they can be considered developed within 10 years time their living standards are already on a par with developed countries (UAE is successfully accomplishing this). Malaysia will need only 3 years to become a developed country as it is making serious inroads into bettering its HDI. Russia relies too much on natural gas but provided it diversify its main industry then it can become developed within just 2 years as their living standards are already on a par with developed countries. Turkey’s HDI at 0.761 would need 6 years to hit the 0.800 mark by then becoming a developed country. 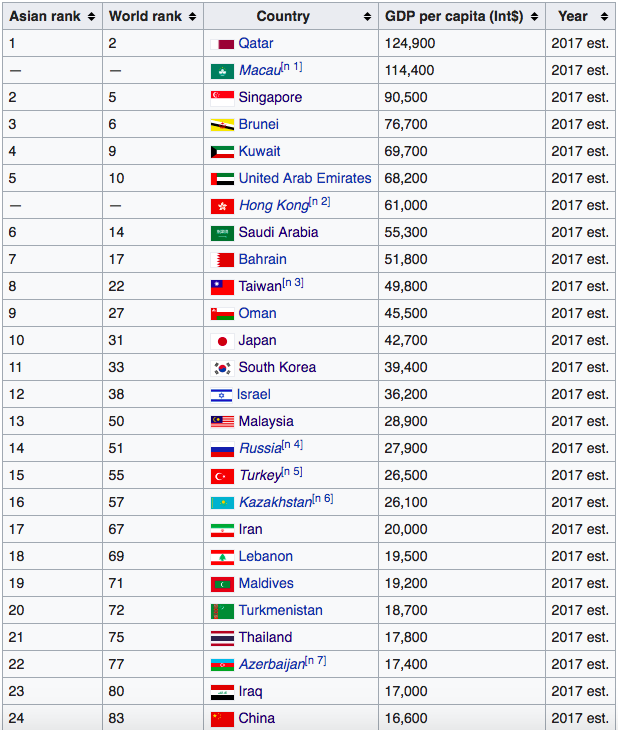 Kazakhstan is on a par with Malaysia in development and would roughly take the same amount of time as Malaysia to become developed. Iran relies on one industry too much but now that the sanctions have been lifted we can see some serious improvement here, Iran’s HDI of 0.766 would need 10 years before hitting the 0.800 mark. India: 30 years followed shortly after by Uzbekistan (Vietnam and Indonesia will become developed shortly before India). Other than Eastern Europe the next set of soon to be developed countries will come from East Asia (China, Mongolia), South East Asia (Malaysia), Central Asia (Kazakhstan), Western Asia (Oil rich countries + Iran and Turkey).